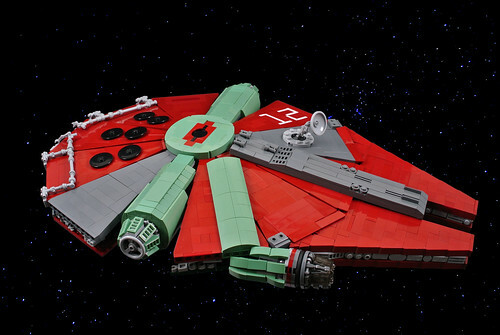 Cecilie Fritzvold took two iconic ships from the Star Wars universe, and though the ships may oppose each other, combined them into something rather creative. Built for racing, not fighting, "the Boba" is a combo (obviously) of the Slave I and the Falcon. The unusual blending of sand green, red, and gray is a very interesting design choice. It also appears to be at a challenging scale, yet Cecilie pulled off many of the iconic details quite well.